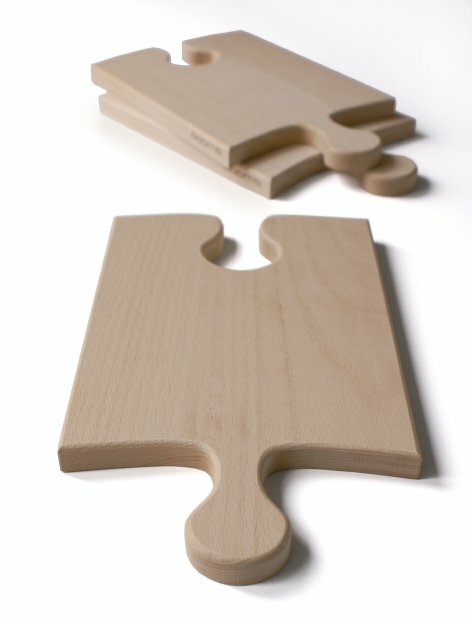 This Puzzleboard can be used in more ways than one. Each board can be used on its own as a cutting board or serving plate, or put some them together and you've just super-sized your workspace. 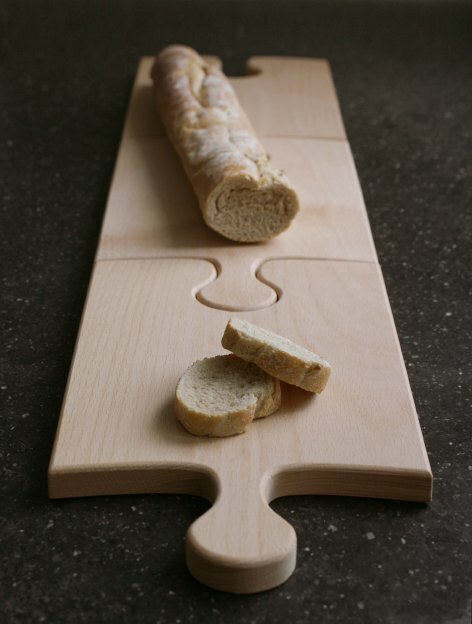 Ideal for cutting those long baguettes! 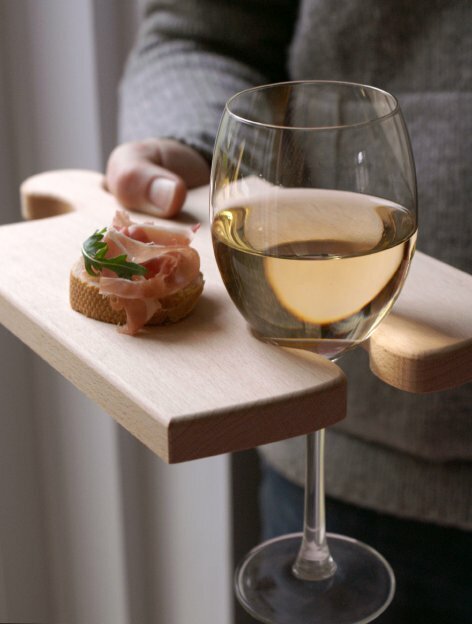 But the best thing is that any wineglass can be fitted into the blank spot of a board, allowing guests at parties to enjoy both wine & delicacies, while still having one hand free to greet other friends. 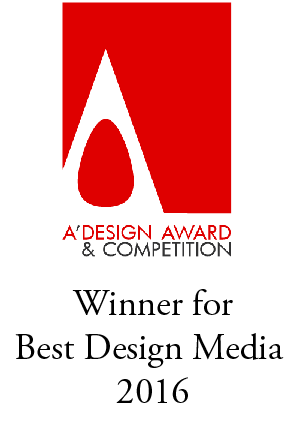 By Dutch Design Studio, OOOMS. What an amazing idea!!!!! i LOVE it!!!! !